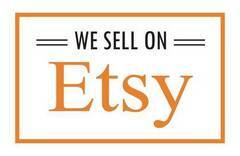 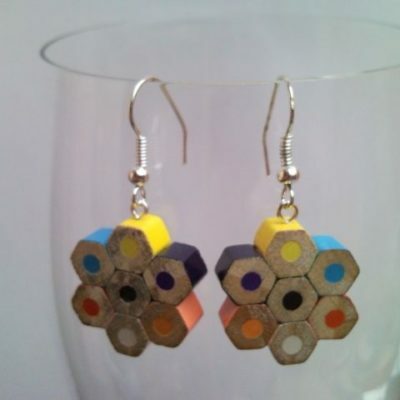 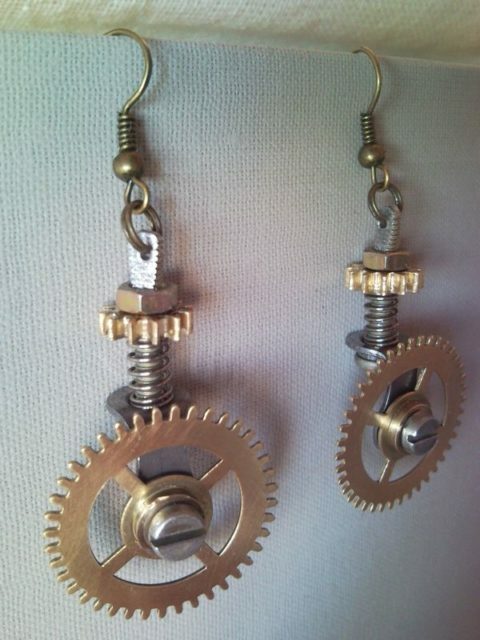 Pizza cutter style steampunk earrings with turnable wheels 1. 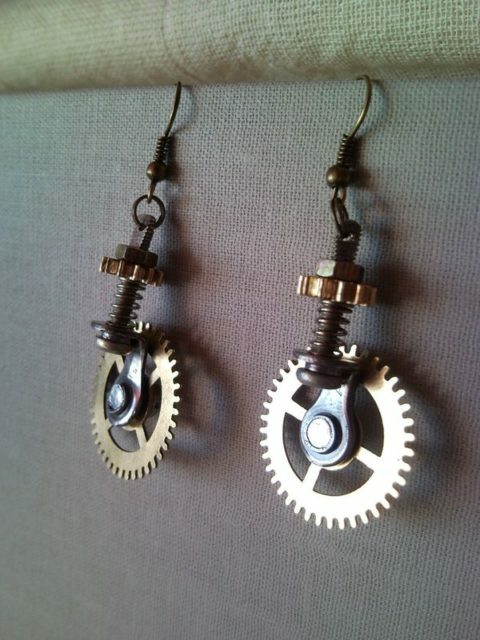 Wheels are turnable in every direction! 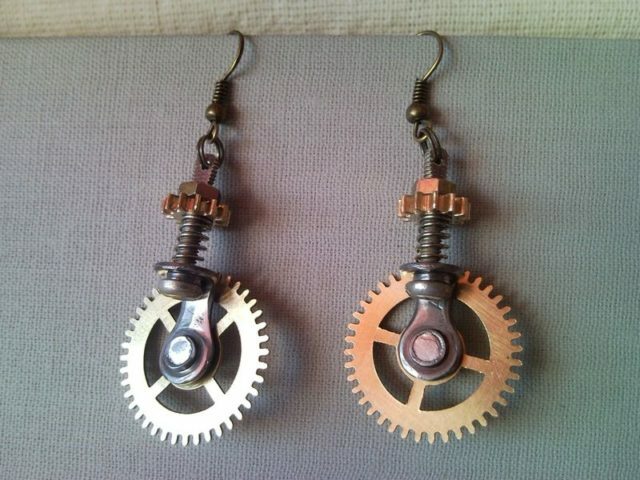 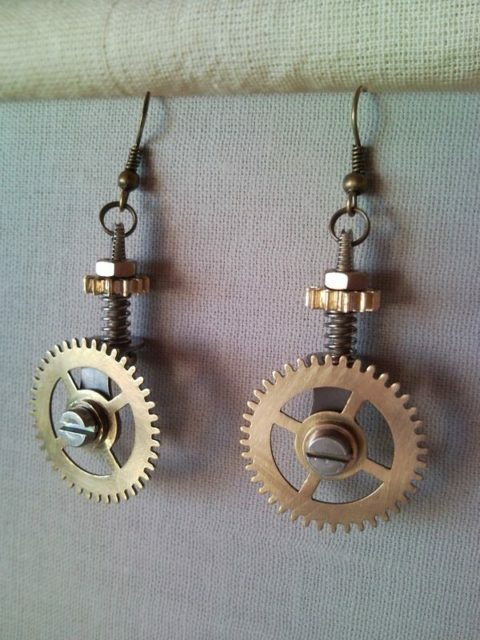 Recycled pizza cutter style steampunk earrings from brass cog wheel, gear and an old mechanical clockwork, clock movement, mechanism. 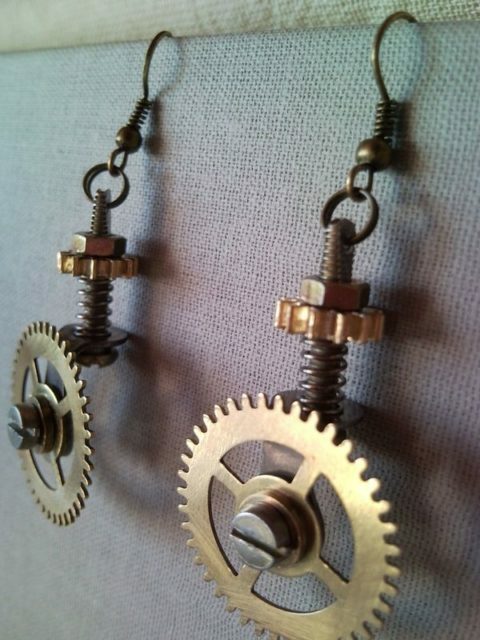 Look like as a pizza cutter… 🙂 These steampunk earrings are ssembled with bronze coloured nickel free ear wires and rings.